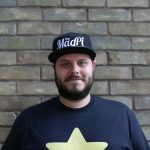 Rob from The MagPi here again! Two posts from me in one week? You’re a very lucky bunch. 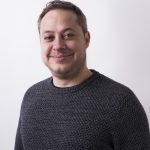 One thing we’re very proud of at The MagPi is the quality of our content: articles, features, tutorials, guides, reviews, inspirational projects and all the other bits and pieces that have made The MagPi great for 39 issues and counting. When we went back into actual print in a big way with issue 36, we had people asking us whether we’d ever release issues 31-35 as printed copies; we assume they wanted copies to frame and hang on their walls, or maybe to donate to a museum collection. Either way, we definitely haven’t been ignoring your cries. 200 pages. Dozens of articles. Out right this second. Instead of releasing these individual issues in the Swag Store like in the old days, we decided to give them the shelf space in bricks-and-mortar shops that they deserved all along. So please welcome The Official Raspberry Pi Projects Book, packed with 200 pages full of the best projects, tutorials, reviews and much, much more, out right now for only £12.99! You’ll find it in the magazine racks next to (or very near) The MagPi, and to be honest the image doesn’t do the cover justice. It’s beautifully glossy and slightly embossed. It’s definitely worth popping down to WHSmiths just to be dazzled by its glory. Otherwise, you can grab a copy from the Swag Store, get a copy in our app available for Android and iOS, or grab the free PDF of the whole thing! With almost 100 articles in the book, there are definitely a few things for everyone. 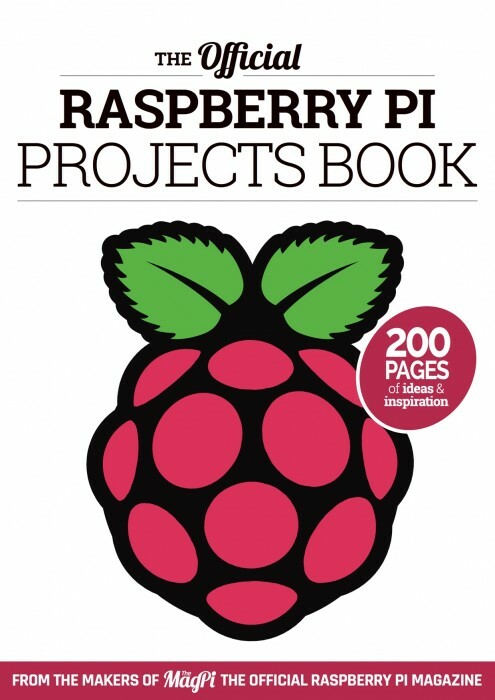 Even if you’re not so bothered about completing your collection of The MagPi (however much it breaks my heart), this is a book with 200 pages of fantastic Raspberry Pi content that’s extremely handy if you want ideas for more awesome stuff to do with your Raspberry Pi. I’d like to point out that it’s a darn good stocking stuffer as well, what with it being only five weeks until Christmas and all. We hope you all enjoy this book, however you plan to use it. And don’t forget to look out for our very exciting issue 40, out next Thursday. You absolutely will not want to miss it. Anyway, on Monday I put a Picard gif at the end of the post. So here’s another. [This is a thing with Rob; we’re humouring him. Tell us in comments if you want us to make him stop – Ed.] See you next time! Great to see the Foundation starting to publish their own books now! No RPi Cam Web Interface, the biggest project on the forum and it’s not featured in the official project book? Thanks for commenting. If you’d like to see a particular tutorial or project to appear feel free to email the magazine any time and we’ll do our best to include it. Thanks!!! I’ll be excited to check it out! I’m new to RPi, so this should help! Foundation should do more like this. Great job. raspberry pi is one of most inspiring gadget for my student , which helps me to teach python programing even to those 8 ~ 12 years olds. Really excited to see this in person! As a collector of the printed version of The MagPi I’m extremely pleased to learn that the Pi Foundation have decided to bring this book out, thus enabling me to (sort of) complete my collection. Sadly there are a number of sections and tutorials missing from this projects book that appeared in the original versions. Therefore, it isn’t a true gap filler of issues 31 – 35. I suspect that you may well have plans for some of these missing tutorials to be compiled into books similar to Conquer The Command Line as a part of The MagPi Essentials. Having said all this, it hasn’t deterred me in the slightest from ordering a printed copy from the Swag Store. I appreciate all the work that goes into making these publications available. When Spanish version ??. I do not understand as the second most spoken language in the world will not be translated to have more followers. I say this especially TheMagPi magazine. Para cuando en versión español??. No entiendo como la SEGUNDA lengua más hablada del mundo no sea traducida para tener más seguidores. Lo digo sobre todo por la revista TheMagPi. Hey I got the free PDF version, but I wanted to know if there is like some way I can tip you guys with bitcoin? Its really great but wen can I have it in softform???????? need it badly. 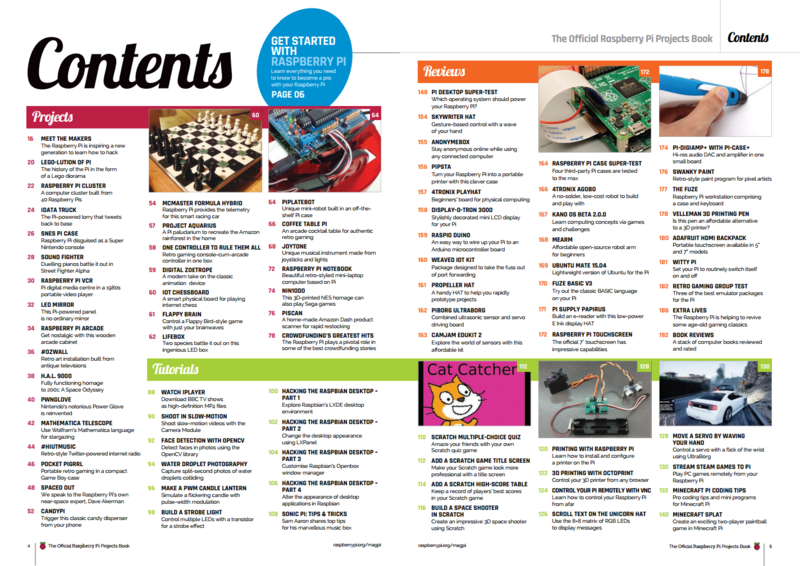 You can download soft copies of all the content in the magazine format at https://www.raspberrypi.org/magpi/. Would there be discounts for bulk order and international shipping? Nice work! But i can’t realize why Brazil is one of countries that you don’t ship. I made a lot of imports from various stores on 5 years without big problems. That seems to be a problem with Pimoroni that “manage” the store. I can suggest your team to make a talk with them and try to start send to us here? Just found now that modmypi resells the magpi and sends to brazil, nice! I don’t know how you do it, but this is simply amazing on so many levels. I’ll be pointing a lot of people toward this in hard copy and will use the free PDF version in classes until the bureaucracy can catch up and buy a subscription as well as this new compendium. The MagPi #39 is out now! Grab the latest edition of the official Raspberry Pi magazine, The MagPi, today!